Robin Cook and Clare Short may have got all the media attention but there have been other expressions of despair of far greater significance for the future of Labour and the left. Fry tried to ring alarm bells in Blair’s ear: ‘I have been a member of the party for nearly 30 years. It is very hard for me to continue to work with the same energy and enthusiasm because I am so disillusioned about the policies being pursued by you nationally and our lack of influence over those policies. I know that this despair is shared by many of my colleagues and that many of our long-standing members have left the party or are on the brink of doing so’. Activist frustration with Labour governments is not new. Hundreds of members threw away their party cards in disgust over Harold Wilson’s anti-trade union laws and support for the US in Vietnam. But the Wilson government’s shift to the right was of mainly internal importance – a betrayal of conference decisions. 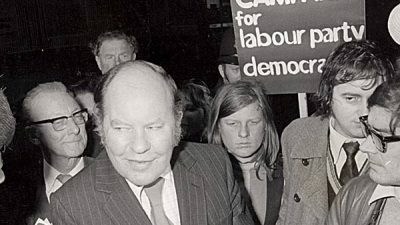 And there was enough democracy left in party structures for a strong core of activists to feel confident that they could hold the leadership to account, which they did in the 1970s. Now the leadership has moved so far from the party’s original values and has so effectively destroyed what democratic mechanisms there were, that vast swathes of the electorate – enough to swing elections – are voting for alternatives. 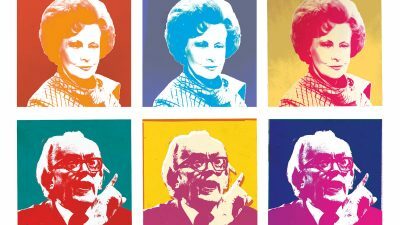 In the 1960s and 1970s the Labour leadership could take most of its traditional voters for granted and concentrate on the mainly middle class, centrist floating vote in marginal seats. Last month’s local elections showed that is no longer the case. A large protest vote, joined in May by the Muslim voters, has emerged. This vote shares values with the left of the party, but is slapping left-wing Labour candidates in the face. This puts the Labour left in an almost untenable situation. The left’s commitment to the party goes back to Keir Hardie’s 1918 comment on the new party constitution. He argued that though the constitution’s amalgam of trade unions and constituency parties put the left in a subordinate position it nevertheless provided it with a captive working class audience. It would prove to be ‘a short cut to socialism’. That short cut has turned out to be one of the longest in history. The behaviour of Labour’s leading players has driven the audience away; the distinctive message of the secondary parts cannot be heard above the leadership’s increasingly hollow-sounding voices. But (in England, at any rate) calling on the Labour left to leave and join/start a socialist/green alternative cannot be the end of the matter. For two reasons. First, because the Labour left packing its bags and going nowhere is exactly what Blair wants. It would complete his project – on the model of his beloved US – of emptying the party of all political life and debate. The shockingly undemocratic suspension of George Galloway is one part of this process. Second, the left would not benefit from the Labour Party being effectively destroyed in this way. As England does not yet have a credible alternative to Labour, it is the right that would benefit if Blair were to get away with destroying the party – even if the Lib Dems got a significant electoral -llip. As their vacillations over war and privatisation have shown, the Lib Dems’ leadership is too torn between filling the vacuum on the left and wooing Tory voters to maintain strong political stands. The Lib Dems are not a powerful enough progressive force to halt the advance of a renewed racist right (through both the BNP and the increasingly desperate Tories), an advance that has been boosted by the poisonous political atmosphere created by Blair and Blunkett’s wars against terrorism and asylum seekers. 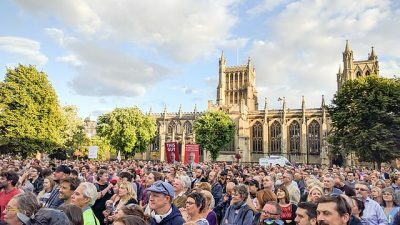 It is the rise of the British National Party (BNP) that must shake the English left inside and outside the Labour Party into thinking how to unite at electoral time – the very moment when these two strands of the left normally part company. I’m thinking not simply of anti-BNP campaigning – exposing and challenging their racism and fascism. That is important. But when its racist and xenophobic propaganda exploits issues such as privatisation, unemployment and cuts in council services we have to put forward a positive alternative to the policies of both the government and the majority of Labour councils if we are to stop the BNP in its tracks. We have to be able to advance that alternative at election time – the time when the mass of people briefly concentrate on questions of political power. 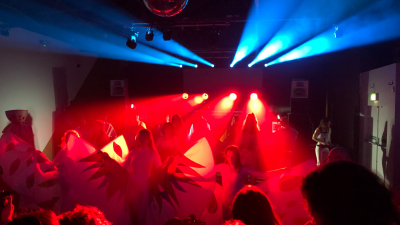 And to be heard above the hype of right-wing propaganda it is essential to have campaigned – on our alternative policies for issues that touch people’s everyday lives – throughout the year. An electoral alternative does not necessarily mean standing alternative candidates. 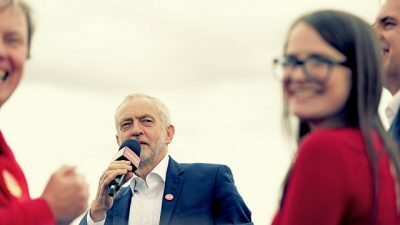 In the absence of proportional representation and the coalitions it makes possible, it is the question of candidates that normally divides the left. But isn’t the idea of an electoral alternative without standing candidates a contradiction in terms? Not if we recognise the degree of unity there is across the left on public services, democracy, anti-racism and anti-militarism, and the general openness to constructive debate where we differ. And not if we recognise the potential for sustained campaigning coalitions in our cities and towns. Tyneside’s Public Services Alliance (PSA) provides an example, though circumstances will vary. Set up to defend and improve public services it is increasingly taking on related issues of racism and militarism. It is driven and sustained by local unions, which insist on making the issue of providing alternatives central to their resistance to the council’s attempts to privatise Newcastle’s services. The PSA’s activities have included industrial action, a city-wide demonstration, educational mass meetings, sending a delegation to the European Social Forum and concerted campaigning against the BNP. But the PSA includes people from the Labour Party, the Greens, the Socialist Alliance, the Socialist Party and many independents. Supporting or standing particular candidates would destroy it. Its solution was to draw up a common manifesto and campaign around that. ‘We can’t predict where this will go,’ says Bell. ‘It could lead to reclaiming the Labour Party. It could lead to developing an alternative, or some mixture of the two.’ It is the increasingly political nature of many of the unions that makes this broad-based strategy possible. Interestingly, the Scottish Socialist Party (SSP) grew out of a history of campaigning coalitions. And it is those day-to-day campaigning roots that have facilitated the SSP’s present success (see News monitor in the print magazine). The Socialist Alliance’s failure to engage in such sustained campaigns explains its limited electoral success in England. 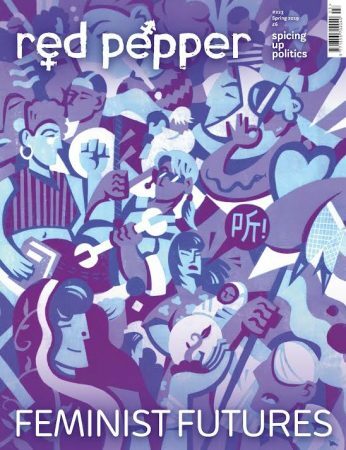 Red Pepper itself owes its origins to an attempt to build a coalition – between Labour, independent and green left – through the Socialist Conferences of the 1980s. The conferences were energised by the spontaneous coalitions created in the course of the miners’ strike. We too imagined the left might ‘refound the Labour Party’ or a credible left alternative might emerge. The conferences achieved neither. But that doesn’t mean that the principle of such a crossover was wrong. It needs working at. And it needs to take electoral politics seriously. Those are the lessons that I draw from last month’s local elections. Now is the time for widespread discussion about what is to be done. Red Pepper will open its pages and website to your views and experiences.